Android users will be happy to know that Betdaq Mobile is available for Android supported devices. The mobile app, like its website, has a simple interface so players can easily navigate. The homepage provides a summary of the popular and current games and events for you to choose from. You are also provided updates on games that will be ready for betting, and games that are currently open for betting. Installing the mobile app on Android can be a bit tricky. But the following steps will guide you throughout the installation process. From registering to downloading and running the app. Installation is divided into the following steps. Note that there are different options for installing the Betdaq mobile app for Android. Go to the mobile site using your preferred browser and/or search engine. Create your account or log-in if you already have an existing account. Enter android.betdaq.com in the address bar located at the top of the mobile site. Download the APK file there and install it on your device. Run the app and bet away. Type Betdaq in the search bar. Run the app and bet away. You can log-in or create an account after the prompt. Look for the QR Code on the site to launch the Betdaq Mobile App. Note: Android limits installing devices not sanctioned by Google. To allow your phone to install the Betdaq Mobile App, you have to enable third-party installations. To do this, go to the settings app on your smartphone. Select “Security” option. Then, tick “Unknown Sources” to enable it. There is no need to change devices if you are not an android user because Betdaq Mobile App is also available in the iTunes store. That’s right! It can be accessed by iPhone and iPad users. It offers the same simple interface for easy navigation and the same features. In fact, since the Betdaq iOS app is so user-friendly, it is one of the betting applications that have the best layout. Thus, you can navigate it smoothly. The tools can be also be accessed without any trouble. Go to the iTunes store. iTunes is like the Play Store for Android. Betdaq offers a wide variety of sports to choose from. The sports that they offer are soccer, horse racing, tennis, golf, cricket, greyhound racing, American football, basketball, boxing, formula one, darts, GAA, ice hockey, MMA, rugby league and rugby union, among others. The Mobile App contains the following features: First, it has a Cash Out option. This is where players can take their winnings, or if they are not winning to cut their losses, by cashing out at any stage of the bet and game. Next, the mobile app introduces a Push Technology Platform, which enables the app to be user-friendly. You can be assured that every information and prices posted at the mobile app are current and the same update can also be found on the mobile site. Third, there are multiple betting options for you so you can combine multiple bets…up to seven bets to be exact. Fourth, the accounts settings provide a summary of ongoing bets and their status. Finally, the in-play review offers players to watch and place bets in real time, just like in major face-to-face casinos. Betdaq is a large betting platform, and the online casino is just one of its platforms. Betdaq even has its own software developed for the table games it provides. However, since they are the developers of most of these casino games, fifty games to be exact, the number of games is quite limited. The casino games with live dealers are more focused on blackjack and roulette. For the slot machines, IGT and Cryptologic are the main providers. Some of these slot machine games can be played on mobile phones and tablets. Being the second largest betting platform, the Betdaq mobile site, while containing a lot of information, is very easy to navigate. So, first-time players should not be intimidated in registering an account. The primary colours are purple and white, and it gives a sophisticated appeal to the overall theme of the mobile site. Betdaq site and the mobile app are very similar in terms of the platform, accessibility, and usage. They both need smartphones and a stable network to be able to place a bet, collect bet and update the game stats. The few differences are that the mobile app was launched last 2011 while the site has been in existence since 2000. As the mobile app is fairly new, it has new features not seen on the mobile site. The mobile app version offers Betdaq Exclude Mobile Odds, Proform Race Guides, and Live Streaming. The mobile app, as previously mentioned is quite new, so its market strategy is to offer bonuses. A separate chapter will discuss these bonus features. The mobile app is only launched last 2011. Hence, there are a lot of Betdaq promos and bonuses for those who will download the mobile app. One such bonus is the new registration bonus. All you have to do is create an account while using the promotional code ALLBDQ03. Then you can avail of a free bet worth €200. Another free bet is getting the same with the same €200 amount once you pay €25 as a commission. As you pay more commission, you get more bonuses until you spend the entire amount. For example, after 72 hours of registration, you can make a bet with 1.50 or higher odds and then you can receive your free bets. There is a catch though. You cannot use all the free bets you have to yourself because there is 3% commission for promotion. This is applicable for exchange bets made, and accumulators are not included. It is noted that there aren’t many promos and bets compared to other mobile betting apps. Not all devices, be it an android device or a device using an iOS, can access the Betdaq mobile application. This is especially true for smartphones with an older operating system. Hence, this chapter is devoted to the system requirements and compatibility requirements your phone needs to have, in order to download and successfully run the Betdaq mobile app. To use the BETDAQ+ App on your Android, your mobile device must be running on Android Version 2.1 or higher. Betdaq offers a wide variety of payments, from deposits to withdrawals. The fees are minimal or non-existent. The table below shows a summary of available payment options. Betdaq Mobile is just one aspect of Betdaq, the trading company also called Global Betting Exchange Alderney Limited. Betdaq is the second largest betting exchange operator with approximately 7% market share in spite of being established only last 2000. In general, the online platform allows people to bet on a wide variety of sports, games and featured events. The difference of Betdaq from other online casinos is that it allows players to bet on each other, rather than just placing bets online and wait for the results. 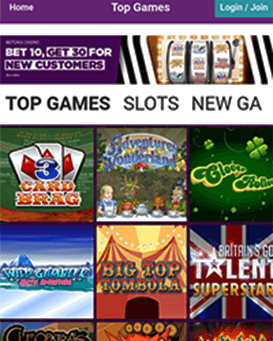 Betdaq Mobile offers a wide variety of betting markets and sports events. It allows players from around the globe to bet online and in real time. The online casino is one of the popular betting sites of Betdaq. It has a mobile site version, the same site players access when in their desktop or laptop computers, and a mobile application for more accessibility within the comforts of the home or favourite places with stable internet coverage. As the official site promoted, Betdaq mobile app allows you to “Back, Lay, and Trade on all your favourite sports, on the move”. For details not mentioned above, the following FAQs and answers can provide you with more information. Is Betdaq mobile app safe for download? Yes. You can enable the install from unknown sources security option in the settings of your phone for you to install the app successfully. Are all devices compatible with the Betdaq Mobile App? Sadly no. There is a chapter specifically dedicated to what devices and system requirements are needed to install the mobile app. In general, Android devices must be running on Android Version 2.1 or higher while iOS devices should be iOS 7 or higher. Is it possible to use my free bet on Betdaq mobile? Yes. The number of your free bets can be seen beside your balance at the uppermost part of your screen. You can tap the Use Free Bet box on the bet slip after you choose the wager you want. Can I view my available balance on my mobile device? Yes. The Show Balance or Balance feature can enable or disable your available balance from being shown in the mobile app. What should I do if I suddenly lose my internet connection on my phone while I place my bet? There is no need to worry about this. You just need to log in to your account again when you have a stable internet connection. The mobile app will update you on your bet status. How does Betdaq charge commissions? The commissions vary on the number of your winnings. You can use your free bet and earn at least 1.5% of the amount. However, it still varies. When you have losses, the commission won’t be charged. Commissions are available for winning bets. You are charged by the number of winnings you receive. Commission points are earned when you wager more money. The more commission points you have, the lesser commission you have to pay for the amount of money you win. You get these points weekly. You can get 1 commission point for each £25 or €25 you bet and win. When you lose in exchange markets, you earn a point as well. Betdaq has gone far in spite of being new in the betting market. Launching a mobile application is another marketing and expansion strategy to gain more customers. The mobile app is easy to install, easy to navigate and easy to place bets. Like all betting games whether online or in the real world, the money and odds are continually being changed. Also, there is a delay if you place a bet in a live sporting event. The only downside is the liquidity in its in-play betting, which is somehow wrong. The reason for this is that compared to other betting platforms like Betfair, Betdaq has a lower number of customer base. Hence, the low liquidity of the bets. Because of this, we rate the mobile app as 7.5 out of 10.